Have you ever attended a business meeting you actually enjoyed? If so, what made it different from the average snooze session? It’s been said that meetings are “where minutes are taken and hours are wasted.” However, meetings exist for a reason, annoying as they may be. Decisions are made, problems are solved, bonds are formed, and the needle is moved in meetings. The higher you go in management, the more meetings are your work. 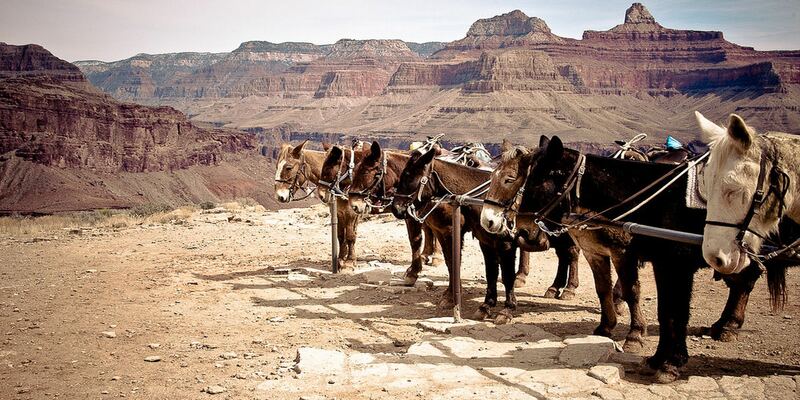 Despite this era of high-tech communication, they remain the most effective, socially viable way to exchange information, corral ideas, and keep track of other team members. It’s hard to find a better way to work out the details of a project and clean up the problems, so we accept them as just one of the costs of doing business. However, that doesn’t mean we have to accept them wasting our time. Working on slashing the time you spend in meetings offers an excellent way for you to free up more time for your profitable, productive work, and there are several ways you can go about it. 1. Invoke the necessity clause. Is it really necessary to call a meeting? Most minor issues can be handled through email, IM, or a phone call. If one of these methods will work, a formal face-to-face meeting isn’t needed. 2. Don’t wait for stragglers. Your attendees should be adult enough to keep track of their obligations and make the meeting on time. If someone comes in late, don’t stop to bring them up to speed; let them grab someone else’s notes, or brief them later. If the meeting’s long and you need a break, tell everyone exactly how long they have to return, and don’t wait for them if they don’t get back in time. 3. Facilitate. Act as a facilitator or appoint someone to do so. A good facilitator directs the meeting, makes sure everyone stays on point, acknowledges speakers, limits speaking time, and urges quieter attendees to speak up. They’re also tasked with ending the meeting on time. 4. Encourage a relaxed atmosphere. Normal office venues may be too noisy or boring to easily keep people on task. If necessary, find a nearby off-site location where you can more easily get into the groove and complete your business. Just don’t go too far afield, or you may waste time getting there and back. 5. Stick to the agenda. Your facilitator will help here, but be sure to send everyone copies of the agenda in advance, so they know what you plan to discuss and why. This will help everyone stay on topic. 6. Cut back on breaks. One of reasons meetings drag on so long is that the attendees take too many breaks and drag in late. Well, one 10-minute break per 90 minutes — if you have to meet that long — should be sufficient for most things. If someone comes back late, don’t wait for them, just proceed. Even better, limit the meeting to 60 minutes or less so you don’t need any breaks. 7. Limit the number of attendees. A small venue or lack of assistance may force you to keep your meetings small — a good idea anyway. Bring together only as many people as you can handle. Often, the fewer attendees, the shorter the meeting. Even if space or assistance aren’t issues, include only the people who must be there and mark everyone else as optional. The late Steve Jobs of Apple was famous for sending away the least important attendee of any given meeting, as well as people he felt had no overriding need to attend. 8. Select a time when attendees are motivated to finish quickly. Try Tuesday at 3:00 PM, because everyone has recovered from the previous weekend, hasn’t started the downward slide to the next, and wants to finish before quitting time. For the last reason, any late-afternoon meeting will suffice. Mid-morning meetings take advantage of the need to finish before lunch, which can also hustle things along — as well as the energy factor, because most people have more energy early in the day. In a business environment, time really does equal money — and nothing wastes time like traditional meetings. While they may represent a necessary evil, you don’t have to let them run on so long you can’t easily recoup your costs. Keep your meetings short, and make sure the productivity increases that result will more than exceed the time-loss. When meetings are slimmed down and retooled in this manner, they won’t degenerate into time wasters; they will be time savers. 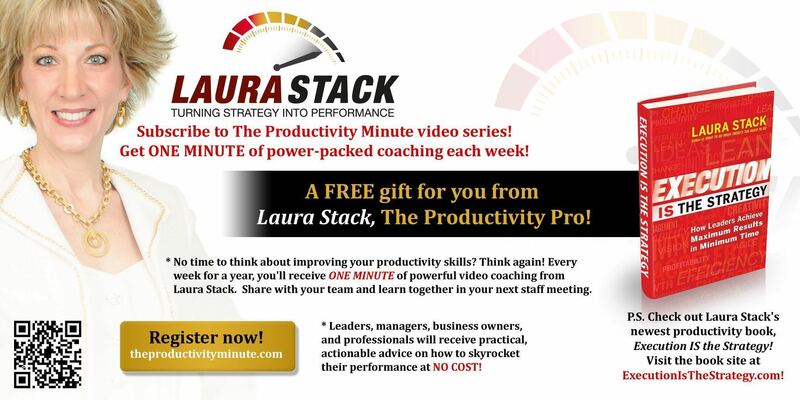 Check out The Productivity Minute video series with Laura Stack. Laura Stack is America’s premier expert in productivity. For over 20 years, her speeches have helped entrepreneurs, leaders, teams, and organizations improve output, lower stress, and save time at work and in life. 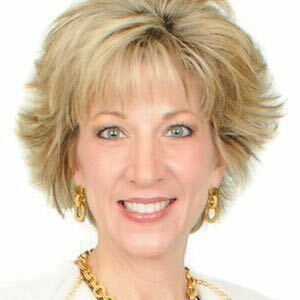 Her company, The Productivity Pro®, Inc., provides time management workshops around the globe to help attendees achieve Maximum Results in Minimum Time®. Laura's The Productivity Pro® Follow @LauraStack on Twitter Get Laura's book - What to do when there is too much to do?